UPDATED: Tue., Aug. 14, 2018, 9:32 a.m. In the campy horror film “Maximum Overdrive,” big rig trucks spring to life and rampage across the countryside – homicidal and with no one behind the wheel. The 1986 Stephen King movie bombed at the box office, but it spoke to a fear that has only grown since its time: When cars and trucks come to life, it won’t be good for us humans. This fear is misplaced, with predictions that self-driving cars will dramatically reduce the 1.3 million road fatalities occurring every year worldwide. Cars aren’t distracted by smartphones, after all, and they don’t get sleepy or drunk. If that does little to make you feel any better, motorists can look to 18-wheelers to see how the future is coming along. Those same trucks that had it out for “Overdrive” star Emilio Estevez. Driverless technology is already here. The first sector to really use it is the shipping industry, with its American fleet of 2 million tractor-trailers. It’s a bit of gobbledygook that contains a glimmer of the future: vehicles that drive themselves, talk to each other and aren’t powered by a gas engine. The session featured Kyle Quinn, chief technology officer at PACCAR Inc., one of the largest manufacturers of heavy-duty commercial vehicles in the world. The Bellevue-based company owns the Kenworth, Peterbilt and DAF brands. In his talk, he described the autonomous elements currently being used in trucks: auto-emergency braking and stop-and-go controls that guide trucks in areas of traffic congestion. Simply put, platooning allows for very close travel between trucks. Think inches. Such proximity will increase the fuel efficiency for all the trucks in the platoon, including the lead vehicle. It’s easy to see where all of this is headed: truck after truck in one long line on our nation’s highways. Right now, there has to be a driver in every vehicle, of course. But in the future, they won’t, and these lines of trucks will be without humans. When that happens, our freeways will surely look similar to our railways, with long lines of cars ferrying our freight. PACCAR’s laboratory for such futuristic technology is in Silicon Valley, at its Innovation Center. There, scientists are working on driverless technology, artificial intelligence, vehicle connectivity, augmented reality – think Google Glass – and electric and hydrogen fuel cell powertrains. All signs point to huge trucks driving the latest technology. Steve Marshall, the Transportation Technology Partnership manager for the city of Bellevue who also spoke at the PNWER summit, applauded the work PACCAR is doing. People were fearful of the elevator at first, Marshall said, paranoia that only continued when elevator operators were phased out. “It’s an evolution. People have to get used to what the advantages are,” he said. In other words, we may be fearful of autonomous cars, but we’ll get used to it. Or at least our kids and grandkids will. Marshall said the technology could phase out all vehicle deaths by 2030, a downward trend he predicted would begin years before. “Even before they’re fully self-driving, you can save lots of lives, lots of injuries,” he said. A big roadblock is us, the public, Marshall suggested. Reema Griffith, executive director of Washington State Transportation Commission, has already begun that introduction. Earlier this year, the Legislature passed SHB 2970, which directed Griffith’s commission to look at the laws that will enable the implementation of autonomous vehicles in the state, work that must be complete by 2023. At the summit, Griffith said the group was trying to balance overregulation with public safety. “Protecting the public is the government’s overriding role,” she said. The main areas of their concern are vehicle licensing, safety, infrastructure, system technology, data security and liability. From these, the commission will drill down even further into insurance, tort liability, criminal law, law enforcement, transit systems, advertising, vehicle registration and the rules of the road, among many, many other things. 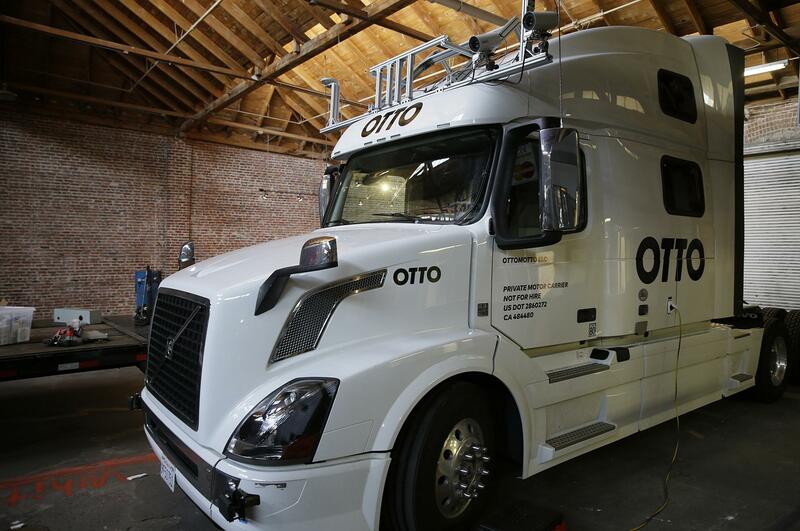 All of which is to say, our cars and trucks will soon be driving themselves. Prepare yourself and remember: Emilio Estevez lives at the end. Work on Argonne Road from Stoneman to Bigelow Gulch roads to replace culverts, guardrail, signage and pavement is largely done, but lane restrictions remain. Periodic shoulder closures will remain through October for clean up and guardrail work. The work to improve the Bigelow Gulch corridor continues, with truck traffic completely restricted between Forker Road and the Spokane Valley city limits. Forker is closed to all traffic from Progress to Brevier roads through the end of the year. The intersection of Bigelow and Forker has a temporary traffic signal. Flaggers may be present to direct traffic. Watch for trucks entering the roadway. The Palouse Highway is getting sidewalks, curb ramps and plantings. Lane restrictions are in place between 55th and 61st avenues. Watch for flaggers and prepare for delays through November. What projects should get funding? The Spokane Regional Transportation Council has prioritized a list of transportation projects and is seeking input on the list from the public. The 49 projects seek $98 million in funding, but only $26 million in federal funding is available. The largest projects on the list include a $8.1 million project to reconstruct the Thor-Freya couplet from Hartson to Sprague avenues, a $7.3 million project to rebuild Spokane Falls Boulevard from Lincoln to Division streets, and a $5.8 million project to reconstruct Havana Street from Pacific to Broadway avenues. The full list of projects can be found at www.srtc.org. Published: Aug. 13, 2018, midnight Updated: Aug. 14, 2018, 9:32 a.m.